As much as PRISM might sound like a comic book antagonist of S.H.I.E.L.D., it's the codename for a very real US government program. According to leaked documents, it went into effect in 2007, and has only gained momentum since. Its stated purpose is to monitor potentially valuable foreign communications that might pass through US servers, but it appears that in practice its scope was far greater. PRISM information, according to the Post, accounts for nearly 1 in 7 intelligence reports. That's staggering. Microsoft. Yahoo. Google. Facebook. PalTalk. AOL. Skype. YouTube. Apple. If you've interacted with any of those companies in the last six years, that information is vulnerable under PRISM. But how? And that's when things get interesting. Much has been made over the phrase "direct access;" most of the implicated tech companies vehemently deny providing it, and the government denies asking for it. 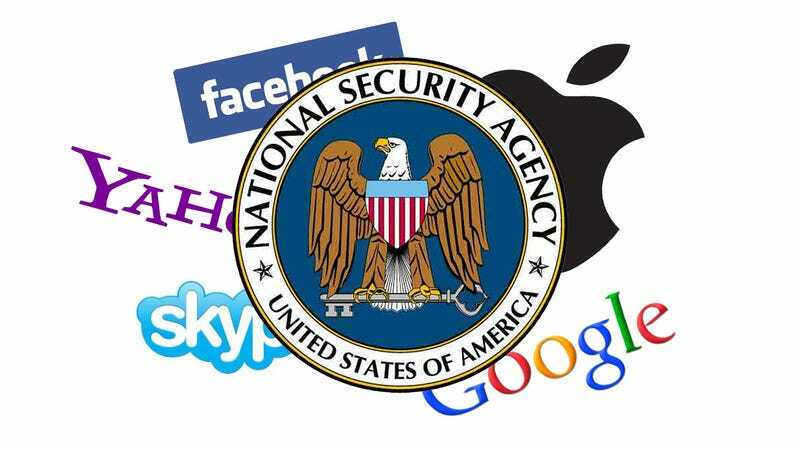 The New York Times, though, reports that while access may not technically be "direct," the secure portals companies like Google and Facebook were going to build for the NSA amounted to as much. Moreover, a PRISM powerpoint slide released by the Guardian after its initial report clearly states that "direct access" is a part of the program. There are, as you might expect, filters in place to help handle the fire hose of data that comes through daily, the trillions of bits and bytes that make up our online identities and lives. Something to ensure that only the bad guys are being tracked and not honest, everyday citizens. Actually, there's one filter, and it's ridiculous: an NSA analyst has to have "51 percent" confidence that a subject is "foreign." After that, it's carte blanche. That's it. That's the only filter. And it's an ineffective one, at that; the PowerPoint slides published by the post acknowledge that domestic citizens get caught in the web, but that it's "nothing to worry about." It's something to worry about. Did you get all that? Similar depth of access applies to Facebook, Microsoft, and the rest. Just to be clear: this covers practically anything you've ever done online, up to and including Google searches as you type them. The news of PRISM broke soon after a separate report, about the NSA's having access to Verizon customer—and, according to an NBC report, everyone else's—phone logs. Surprisingly enough, this is a totally different program! And PRISM makes the Verizon thing look like an ACLU company picnic by comparison. By contrast, PRISM apparently allows full access not just to the fact that an email or chat was sent, but also the contents of those emails and chats. According to the Washington Post's source, they can "literally watch you as you type." They could be doing it right now. PRISM's first corporate partner was allegedly Microsoft, which according to the Post and Guardian signed on back in 2007. Other companies slowly joined, with Apple being the most recent enlistee. Twitter, it seems, has not complied. But why would all of these companies agree to this? Mostly because they have no choice. Failure to hand over server data leaves them subject to a government lawsuit, which can be expensive and incredibly harmful in less quantifiable ways. Besides, they receive compensation for their services; they're not doing this out of charity. There is incentive to play ball. Here's where things get a little complicated, though. Apple, Microsoft, Yahoo, and Google have all given full-throated denials of any involvement whatsoever. Most of them aren't just PR syntactical trickery, either; they are unequivocal. ...and which is, shockingly enough, totally legal. What's most horrifying about PRISM might be that there's nothing technically illegal about it. The government has had this authority for years, and there's no sign that it's going to be revoked any time soon. The Protect America Act of 2007 made it possible for targets to be electronically surveilled without a warrant if they were "reasonably believed" to be foreign. That's where that 51% comes in. It was followed by the 2008 FISA Amendments Act, which immunized companies from legal harm for handing information over to the government. And that's the one-two punch that gives PRISM full legal standing. All of which is to say that PRISM is an awful violation of rights, but it's one that's not going to disappear any time soon. The government, including President Obama, is so far completely unapologetic. And why wouldn't they be? It's easy enough to follow the letter of the law when you're the one writing it.